With all the new modern home builds of late its no secret that some people leave the windows bare. 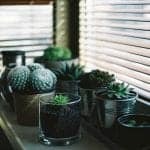 Mainly due to budget limitations or perhaps they strongly believed that windows should be allowed to do their job of letting light in unfettered by the messiness of curtains of somewhat. 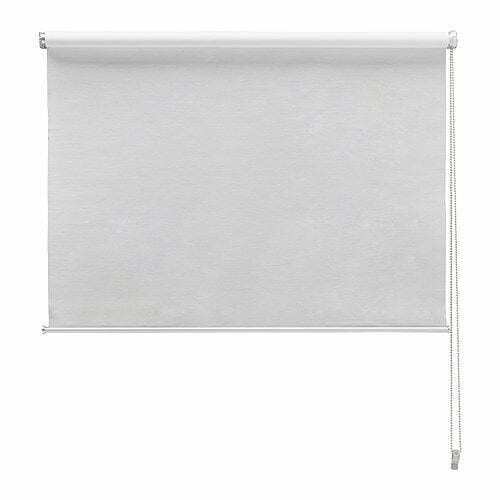 A roller blind is a rectangular swath of material attached to an aluminium tube, and mounted between two brackets. A chain pulley system or a spring mechanism rolls the fabric up and down. 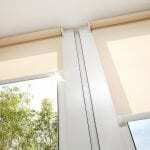 Automated roller blinds are available. That said, hanging cords and loops had up until recently presented a bona fide hazard in house’s with young kids however Shutterup Blinds and Shutters install a cleat with every blind and follow safety measures to avoid any risks… read more on our safety policy here.